Scammers have become more sophisticated in their bid to part us from our cash. 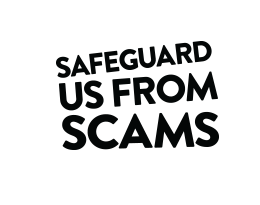 From email scams and copycat websites to nuisance calls and tax rebate scams, we need our wits about us. Our guides help you spot a scam or get money back. It’s not always clear who you should report a scam to or how to get your money back if you've been scammed. Our guides tell you how to report scams and get your money back. As technology becomes more advanced, so do the methods fraudsters use to scam us. Knowing what to look for and how to avoid scams is the best way to stay safe. Our guides tell you about different scams to watch out for. ➦ How can I protect my elderly relative from scams? Some scammers are experts in using the internet to commit their crimes. Our guides can help you spot common signs of online scams and offer simple tips to protect yourself. It's a criminal offence for anyone to sell fake or counterfeit goods. By buying fake goods you could be helping fund crime and also putting your health at risk. Read our guides to stay safe and avoid the con artists attempting to sell dodgy goods. ➦ I think I've spotted a fake or counterfeit product – how can I tell? If you’ve been the victim of credit or debit card fraud, acting quickly is essential. Read our guides to find out what you should do in the event of card fraud and how to contact the Financial Ombudsman Service if you need to. Unwanted calls and texts can be very annoying, particularly if they end up disrupting your day or worse, costing you money. Our guides can help you stop these irritating calls and texts for good. ➦ I keep getting unwanted calls and text messages, what can I do?